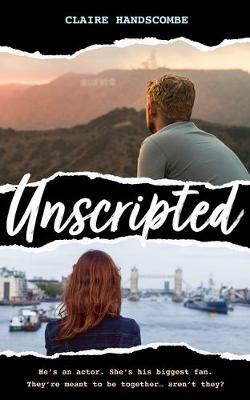 Local author Claire Handscombe will be in our cafe signing copies of her fabulous new novel "Unscripted"! Claire is originally from the Norwich area, where she spent a lot of her childhood years, attending a secondary school in Lowestoft. Claire moved to Washington DC to pursue her love of the West Wing, but she's coming back to England for the launch of her debut novel. As well as writing novels, she also reviews for the Book Riot website, among others and runs the popular BritLit podcast. Nobody is a bigger fan of actor Thomas Cassidy than Libby is. Nobody. That's why she's totally going to marry him. She is going to write a novel, name the main character after Thom, and find a way to get it to him. Intrigued and flattered, he will read it, fall in love with her prose, write to her and ask to turn it into a movie. She will pretend to think about it for a week or so, then say, sure, but can I work on it with you? Their eyes will meet over the script, and fade to black. It is a fail-proof plan. Except for the fact that Thom is a Hollywood star and she is, well, not. Except for the fact that he lives in America. Except, too, for the tiny age gap. Not even twenty years! Totally overcomable. All of the obstacles are totally overcomable. It's all about determination. This is an unticketed event, so please just pop by the cafe to meet Claire, have a chat and get your copy signed.